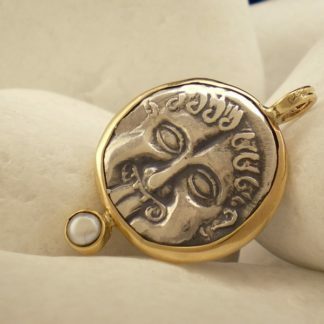 A distinctive pendant from the A. Leondarakis collection with a special symbolism. 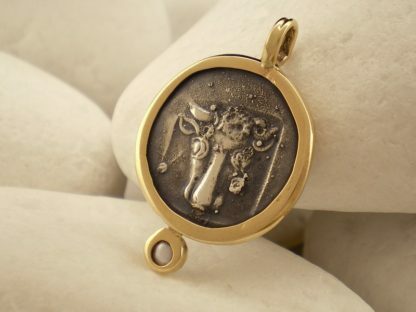 The pendant carries an exact copy of an ancient Greek coin with a Gorgoneion on one side and a bull’s head on the other. 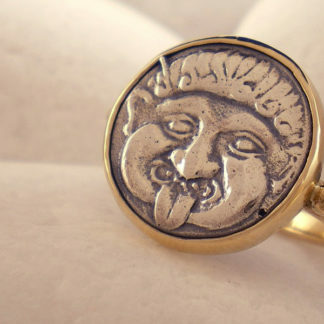 In ancient Greece the Gorgoneion, depicting Medusa’s head, was an apotropaic device that protected the wearer by creating awe and disorientation. 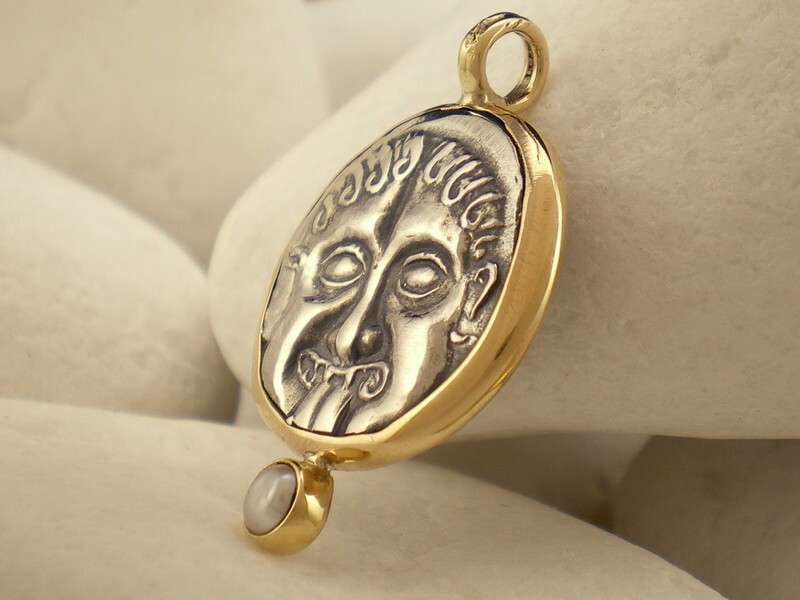 Apart from coins Gorgoneian could be found hanging on doors of houses and workshops, on the façades of temples and even on the leggings of Alexander the Great. 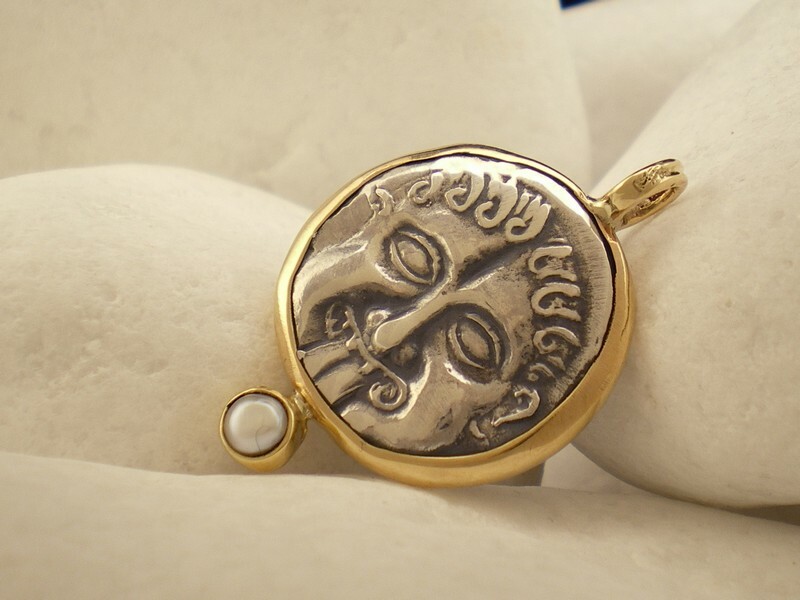 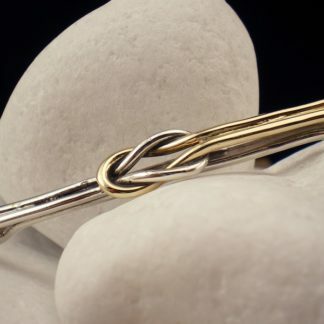 The pendant is skillfully handmade from solid 14K gold with a polished finish while the coin is made from solid 925 sterling silver. 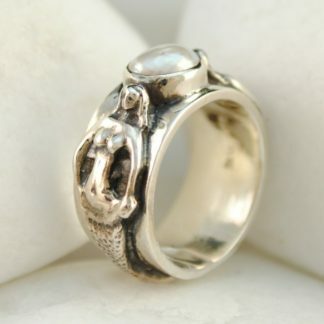 It is decorated with a lovely natural cultured pearl in a 14K gold setting. 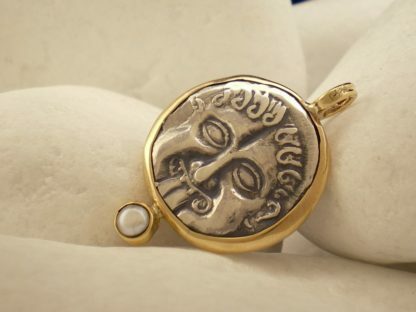 On its back it carries the metal fineness stamps, the Workshop code ΩΙ34 and the ELKA quality hallmark (Hellenic Silver and Goldsmith Center).